Verlan was a quiet man, a soft spoken man with always a kind word to say. 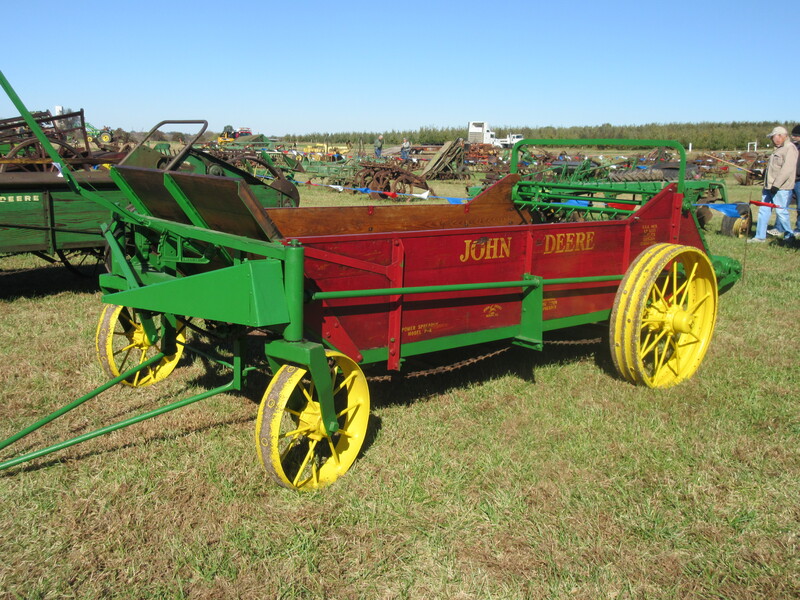 Verlan Heberer passed away this past August in a farm accident and the bulk of his museum quality John Deere collection was sold at auction in Belleville, Illinois this Halloween weekend by Polk Auction company. Keith and I went on Thursday the day before the auction to do an interview for an article I wrote for my column in Farm World. Seeing all of Verlan’s things made me appreciate all over his dedication to the antique tractor collecting hobby, but most of all it made me remember. 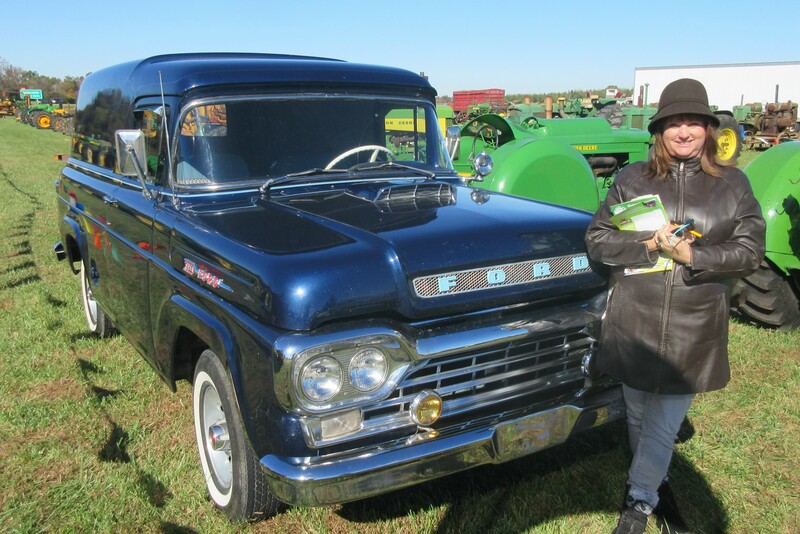 The first time I met Verlan, he was driving a very cool Ford panel van. We met up outside the Quarters Inn in Rantoul, Illinois for something or other. He opened up the back of his van and he had a dog that reminds me of my Sherman. The dog jumped into the back and the duo were ready to roll. The Ford panel van was at the auction and I had to take a minute to look inside. If I could have one item from the auction this would be my choice. I heard from Keith who attended the auction that this van was Nebraska bound. I only hope the new owner has as many adventures as I am sure Verlan had. 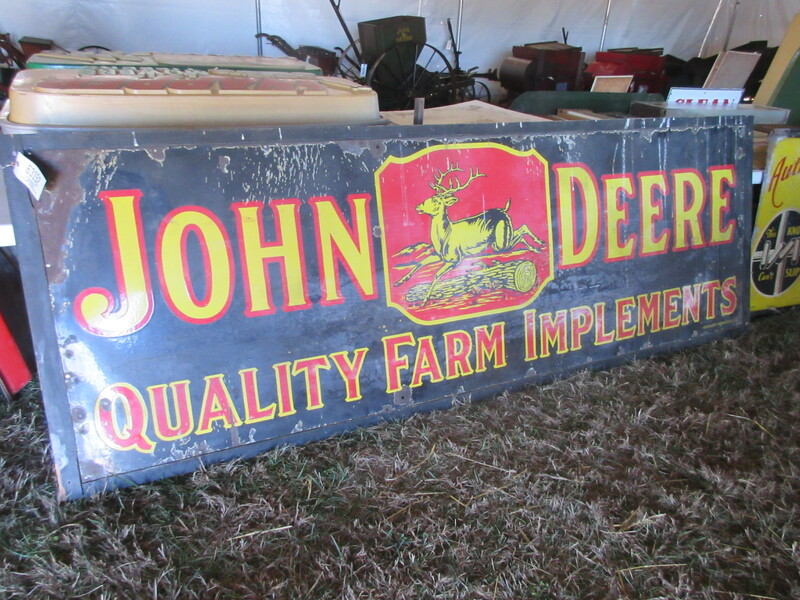 At antique tractor shows you would find Verlan and his family making homemade icecream with an old two – cylinder as power. My favorite memory of him is the story I did on him at the Penfield, IL show one year. The story was about his collection, but what had the most impact to me was the loading and unloading of what seemed to be a million tractors on and off his car loader. Friends and family gathered around him that day and I am sure many other days as well. Previous Post: A great read, Edisto Jinx, for a great ride!